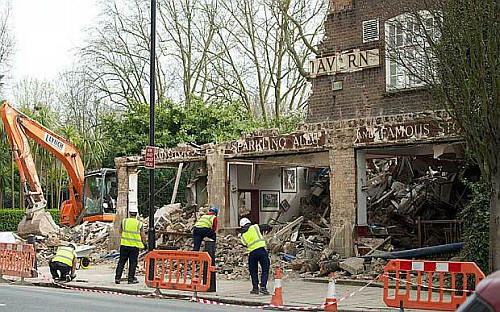 Closed and demolished on 7th April 2015. 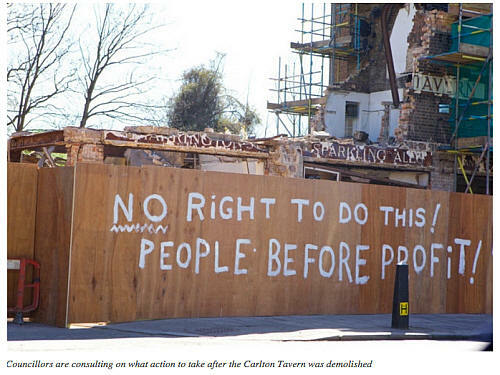 *** The Carlton Tavern was demolished a day before the property was to be listed. 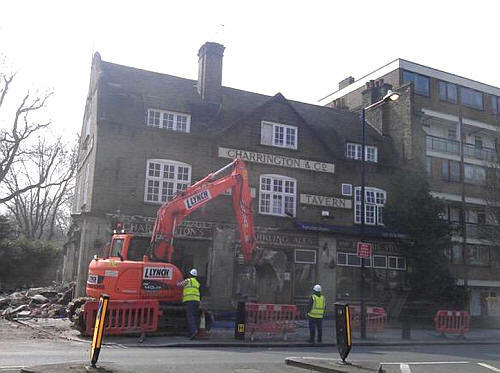 The Council has passed judgment that the pub now needs to be rebuilt exactly as before demolition. I would think the photograph was taken around 1913, as the little boy in the photo, Arthur George Stribling, looks about 2 years of age. He later died aged 7 after the pub got hit by a WW1 bomb in May 1918. In the centre I would think it is Arthur Stribling senior with his wife and Sister in Law (Lady's help) holding the young boy's hands. 1918/Arthur George Stribling of the Carlton Tavern Carlton Vale Middlesex died 19 May 1918 Administration London 20 December to Elizabeth Stribling widow. Effects £132 9s 4d. 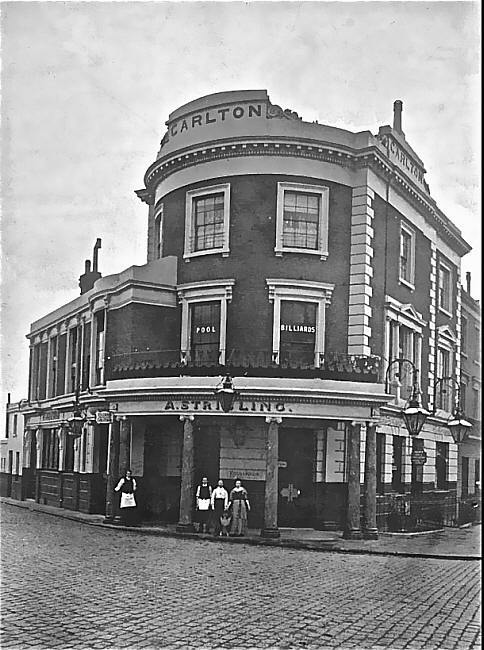 1918/ Arthur Stribling of the Carlton Tavern Carlton Vale Kilburn Middlesex died 20 May 1918 at St Marys Hospital Paddington Middlesex Administration London 23 July to Elizabeth Stribling widow. Effects £2274 6s 8d. 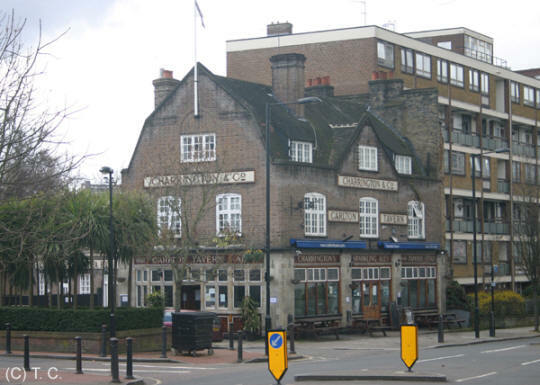 Thomas John William Terry took over the bomb damaged pub shortly afterwards, he lived at 308 Essex Road, Islington. 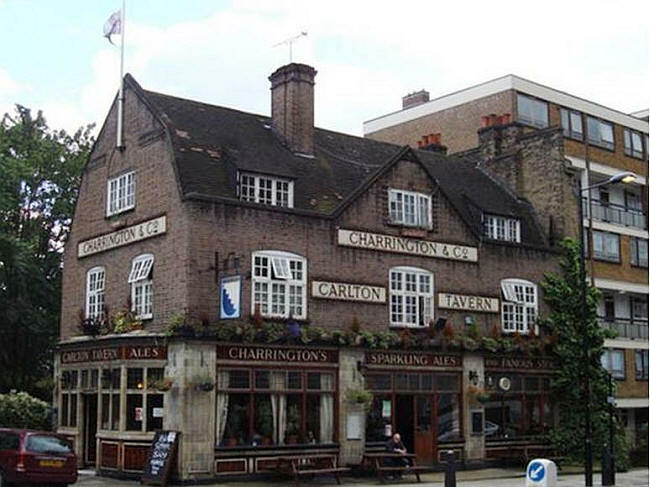 The attached then shows my Grand Father took over the Carlton Tavern from his Brother in Law in August 1920.